Please do not disregard. No matter what, please bear it and read to the end. When I first opened our school in 1994, we gave the choice of choosing Tae Soo Do or Hwa Rang Do to the students. Of course they all chose, Hwa Rang Do even after they were told that it was more expensive and it was harder. And, most of them never achieved Hwa Rang Do Black Sash. I think there was only a couple. 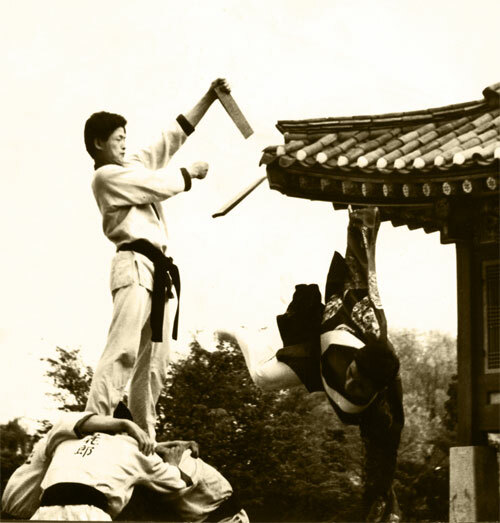 Before Tae Soo Do, the 60s through the 80s, a 5 year old student had to start as a Hwa Rang Do white sash and had to learn 8 basics, a long form, 30 three-step sparring techniques, 2 kicking tests, and had to memorize the entire Hwa Rang Do Mengsae which included the Nine Doctrines. They did all this for their Orange Sash test in 4 to 6 months. Compared to now, a 5 year old student only learns 4 basics, only one of the Hwa Rang Do Mengsae and it takes them on the average 3 to 4 months. We now have two programs: Basic Training where one learns only striking techniques with no weaponry and grappling and Warrior’s Path which includes everything – striking, weaponry, grappling. We have no students in Basic Training. Before our school, we used to have only two classes – one for juniors and one for adults, 6 days a week. The students came as many days as they can, averaging at least 3 to 4 days per week. Now, even with a mandatory attendance of 2 days per week, less than 50% of our student body meets the 8 classes per month requirement. What has changed? Did people get dumber? Is global warming frying our brains? Did people get more lazy? Did time speed up and so we have less time? I have been observing people and their pattern of living for the last 30 years. What I have learned about human behavior is through my students and the lessons are many. The countless excuses and explanations of why they can’t do this or do that from literally thousands of students for the last 30 years have made me sort of an expert on the subject. They all think theirs is original. They all think the other person doesn’t understand. They don’t realize that they are wasting the other person’s time. It’s a waste of time to listen to other people’s excuses because there’s nothing of value. One shouldn’t hang around with people full of excuses, because it’s contagious. There is no such thing as a valid excuse because in the end the validation is not given by the listener, but must be validated by the self, which of course no self in their right mind would validate; hence the need for the listener. Making an excuse to avoid consequences or trying to make yourself out to look good is not the same as explanation. Explanations are given to inform and to improve in the hopes of changing one’s situation as to not repeat the same offence. Giving an excuse is not an apology. An apology starts with I am sorry. An excuse starts with, but or because. An excuse does not waive one’s responsibilities. Because you missed a class does not waive your responsibility to know what was taught in that class. Time does not repeat, so if you missed something, you must make it up in a timely manner. In the end, the people with the most excuses only hurt themselves and have lost the most valuable commodity in the universe, TIME. Yes this might seem a little harsh, but why think of it any other way. If at the end of reading the bullet points, if you were able to refute or think that there’s something to refute because surely there are good excuses, then you’re not in the right frame of mind. Of course there are always exceptions, but why waste time thinking about them, especially when it’s not going help you in a positive light. Oh and what about medical excuse. Surely that’s a valid excuse. If you think this, then your mind is still in high school. How many times did you make yourself feel sick to convince your mom so that you can stay home, which didn’t help you in the long run? You are your own judge and you must self-regulate. You know when you are too sick or too injured to perform and restrain yourself from training because you are so eager to get on the mat, right? Doctors are not gods. They are not always right and they have to be concerned about malpractice suits. Sure, with a broken arm in a cast you can’t do things with your one arm, but you still got one good arm and two legs. Yes, I have been injured. I was bed ridden for a week after a 50 foot fall onto my neighbor’s concrete driveway and three weeks later, I made my first film. There was no way that I was not going to do it. What I did was nothing; be like Prof. Randy Pausch or Lance Armstrong. Point being, yes there are medical situations that limits us, but we can always find a way if we really want it. That’s the key – how much do we want it! That’s always been the key, the secret, or whatever other fanciful word you want to use. The key to unlocking life’s treasure chest is first, knowing what you want and more importantly, never relenting in its pursuit. Please realize that time is finite for us, human beings, as we will all certainly die. The only question is when and how. We have no control of ‘when’ without being damned and/or cowardly, so definitely not a choice as a warrior. However, we can control ‘how’ by focusing on how we will be remembered. This is my mission, my passion to help others reach their full potential and get the most out of life. And, even if you disagree with everything thus far (which I don’t see how, but I am sure one can find a way), you must agree that nothing is accomplished by thinking about it. It’s only through action that anything is achieved. Not just action, but 100% commitment to the action without reservation. One foot in and one foot out will get you exactly that, one shoe or a pair of mismatching shoes. There is so much I want to say and soon I shall, in the way of a book on life as a warrior is the 21st century. But for now, I want to get back to what I originally wanted to tell you. Everyone has an ego and that ego always tells them that they can do more, be more, and just more of everything. 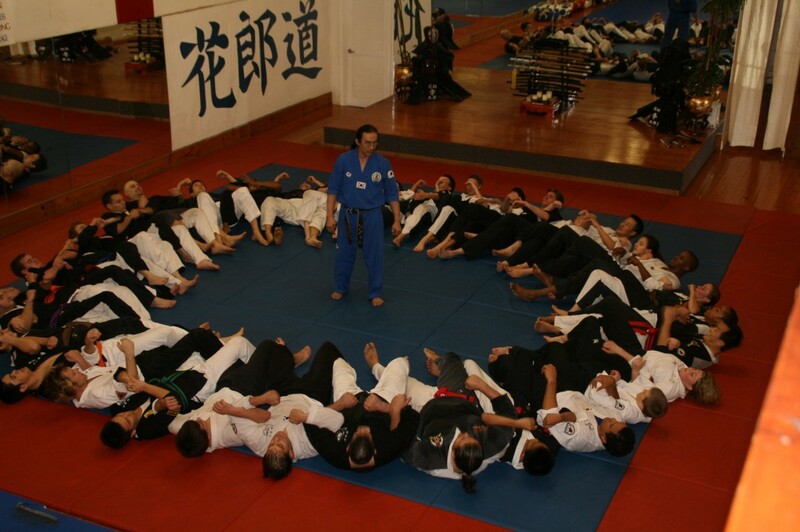 So, they come to us to do more, to do everything, to participate in one of the most demanding martial art programs in the world to be comprehensive, all around, balanced, complete. However, soon after they start training, they realize that its hard work and the romantic superhero created by the mind soon diminish as doubt sets in. Often it’s not even doubt, but one regresses to infancy and just plainly says to the self, “I don’t like it. I don’t know what it is, but I don’t like it.” How can they even know that they like or dislike when they have nothing to compare it to? And, wasn’t it trying out something new the motivation for starting in the first place? When doubt sets in, it’s all over. The mind’s imagination takes over and gives credence to the doubt and sugarcoats the idea of quitting. “No, it’s not quitting” and with that, the gun fires and excuses start racing to see which excuse appeases the ego most. Please understand that I know this best from self-reflection. We are all in it together and together we must support what is true and strong and fight against what is delusional and weak. This last Saturday’s New Year’s Bootcamp is a perfect example. Less than 50% of our students participated in what was a mandatory event. I am sure many who were present were anxious and frightful of what was to come as I and the Instructors have fed their imagination throughout the entire week. “Oh you’re all gonna die,” I said with a smile. “Hope you guys can make it through without getting sick.” “I am jump start you for the entire year!” etc., etc. With that we started the class. The class of about 50 students went through everything I could muster. It was reminiscent of my college years when we conducted a week long hell week, which was later renamed T&T week for Trials & Tribulations. We did all this is 2 hours. Although there were about half dozen people who had to frequent the restroom, everybody made it through. Come on, when in your wildest dreams did you ever think that you can do all that? You can absolutely do more, just like your ego says, but instead of just thinking it, I am here to help you achieve it and when you finally do, there will be no need for the ego. So, this is my challenge to you for the New Year and evermore. Don’t think you’re strong – be strong, don’t think you’re intelligent – be intelligent, don’t think you’re not lazy – get busy, don’t think you’re doing enough – do more, don’t get humiliated – be humble, think less and do more. Remember the more you do the more you want to do; the less you do the less you want to do. So, if you’re up to the challenge and follow my advice, you will achieve great things in 2017, but most importantly you will be better. That’s the best gift I can give you.